A DC judge has ordered the Justice Department to limit the scope of three search warrants targeting Facebook accounts of anti-Trump activists who’ve drawn the federal government’s ire. The warrants, which the court found overbroad, requested all information tied to the accounts of the two activists for a period of more than 90 days, including but not limited to their private messages, friend lists, passwords, and potentially credit card information. Unchallenged, the warrant for data on DisruptJ20’s main Facebook page would have required Facebook to turn over personal information on some 6,000 people who had ‘liked’ or followed the page. The warrant’s scope was deeply troubling—an overt attempt by the government to gather information on Americans whose only crime is apparently not liking President Trump. In a decision likely to be cited in similarly situated cases going forward, Chief Judge Robert Morin of the DC Superior Court mostly sided with the American Civil Liberties Union (ACLU) and other privacy advocates, who last month challenged the prosecution’s standing. “The risk for disclosure of private political speech and association of innocent persons to the government cannot be ignored and therefore additional protections are necessary,” the court’s order, dated November 9th, reads. The judge also curtailed significantly the range of the warrant, limiting it to photos posted on or between January 20 and February 9. (The DOJ had sought access to photos dating as far back as November 1, 2016.) Moreover, the government has been ordered to seek the court’s permission before requesting access to any additional third-party information. The court did, however, reject a suggestion from the ACLU that a neutral third party review the material prior to it being turned over to the government, if only to remove personal information irrelevant to the investigation—which has yet to produce any criminal charges against MacAulay and Carrefour. “The court agreed to impose safeguards to protect political activity and third-party communications from government snooping, but was not equally careful to protect our clients’ private and personal communications,” said ACLU of DC attorney Scott Michelman in a statement. Michelman added that the targeted activists were obviously concerned about the government acquiring—without probable cause—details about their medical histories or “traumatic events in their lives” from private Facebook messages. In a related ruling, federal prosecutors who had sought to identify the 1.3 million internet addresses of people who had visited DisruptJ20's website were ordered this summer to limit that warrant’s scope to information specific to the site’s operators. The ACLU filed a lawsuit against the DC police this summer, arguing that innocent bystanders, including a photo journalist and a legal observer, had been arrested as authorities attempted to quell violent disturbances. 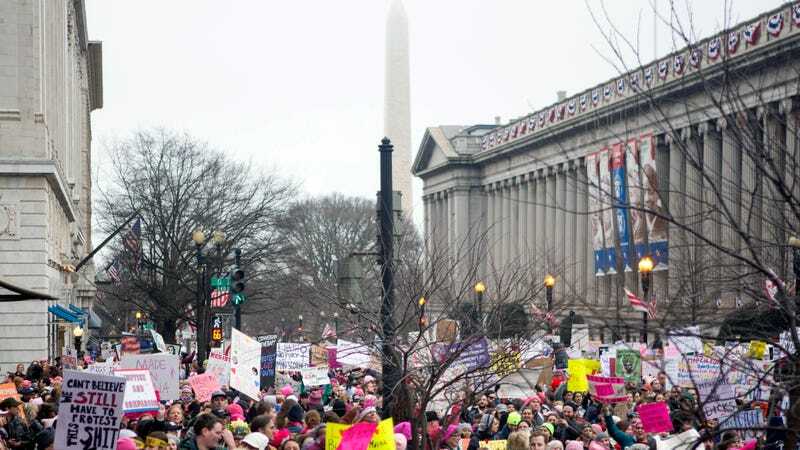 “People from all over the country come to the nation’s capital to exercise their constitutional right to protest,” an attorney for the ACLU said, accusing the DC police of “wanton and vindictive” efforts to chill free speech.